Even hairless cats have dander. You may be one of those people who loves cats but is forced to keep a distance because of allergies. Dander from kitty's fur is the main culprit in the fight against cat allergens. There are no dander-free cats, but you can take steps to minimize contact with dander. Dander is tiny flecks of skin shed by cats and other animals with fur or feathers. It's very sticky, so as kitty sheds it through the course of the day it adheres to walls, clothing, bedding and rugs. Dander isn't the only factor in cat allergies -- cat saliva and urine also contain proteins that cause allergic reactions. Cat fur doesn't cause the allergens but it helps carry them. Despite what some may claim, there is no such thing as a dander-free cat or a non-allergenic cat. All cats emit allergens through their skin (through their natural oils), saliva, urine and feces. Whether they have short coats, long coats or virtually no coats, all cats will emit microscopic flakes of skin that can cause problems for anyone suffering from cat allergies. If you already have a cat and have recently developed allergies, you can try to minimize the amount of allergens she emits by proactive grooming. Talk to your vet about a shampoo that won't dry kitty's skin, and bathe her once a week. Weekly baths will help to get rid of the allergens in her fur. Your vet can also recommend wipes that are designed to prevent dander build up -- you'll want a wipe that won't hurt kitty when she's doing her own grooming. Brushing her regularly will also help minimize dander. Housekeeping is important if you suffer from allergies. Your bedroom should be as allergen-free as possible, which means keeping kitty out of the room. Limit fabrics if you're able because allergens collect in them. This may mean that you have to lose your collection of unique pillows or get rid of extra throw rugs. Make sure you vacuum your rugs, upholstery and drapes regularly. Frequent dusting and keeping kitty's bedding laundered regularly will also minimize allergens. The ASPCA recommends using a "pet outfit" for your snuggle times with kitty. By keeping a designated set of clothes for your time with her you'll leave the rest of your clothes uncontaminated. Finally, make sure that you thoroughly wash your hands after you interact with kitty. 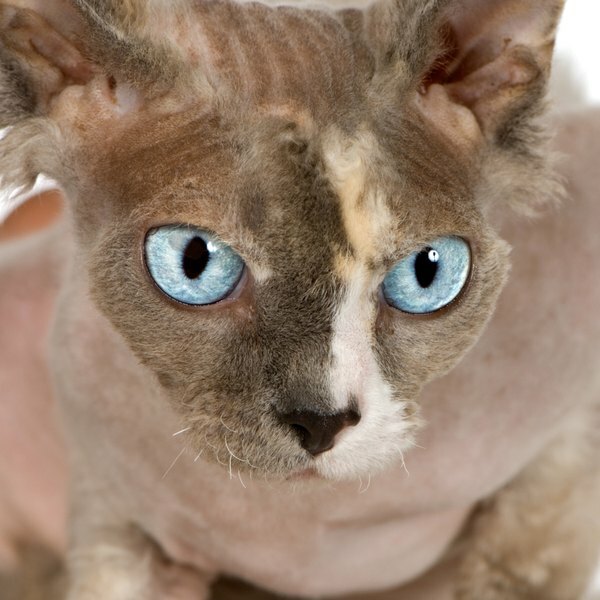 Web MD: Do Hypoallergenic Cats Exist?